Visitation will begin at 12:00 noon on Thursday, December 6, 2018, at Olson-Powell Memorial Chapel, where the family will receive friends from 5:00 – 7:00 p.m. that evening. Funeral services will be held Friday, December 7, 2018 at 10:30 a.m. at Olson-Powell Memorial Chapel with Pastor Kyle Noll officiating. Burial will be held in Forest Home Cemetery. Gifts of love and friendship may be given to Cedar Creek Cemetery or Salem Crew Public Library. On-line condolences may be directed to www.olsonpowell.com. 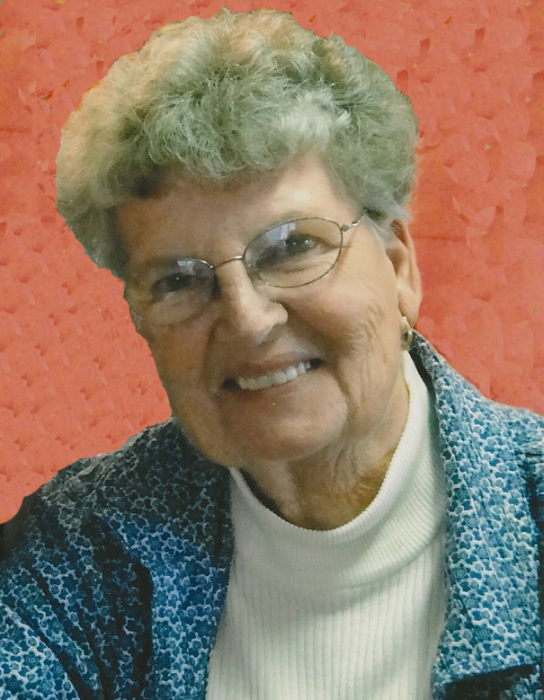 Above all, Betty was a wife, a mother, and a grandmother, making family her highest priority. She enjoyed flower gardening, mowing the yard, baking, and collecting cookbooks. Betty was always ready to lend a hand when needed by family or friends. As a child Betty attended First Presbyterian Church and First United Methodist Church. When her children were growing up, Betty went with them to Oakland Mills Church, near their home. In recent years, she attended Cedar Creek Friends Church. Betty was a member of Stitch ‘N Chatter, Oakland Mills Ladies Aid, Questers, and Salem Square Dance Club.